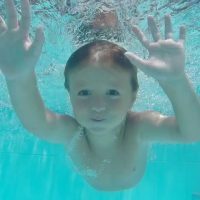 This class is to familiarize children between the ages of 3-4 years with the water and to teach rudimentary swimming skills. The participants will develop positive attitudes and safe practice in and around the water area. There are not any skill prerequisites.